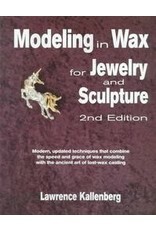 "Expands on the original work that first introduced artists and artisans to the materials, tools and techniques used to create original wax models for jewelry - both fine pieces and costume jewelry. 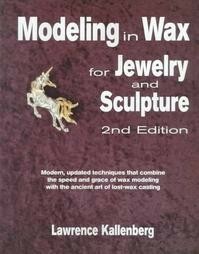 The ancient method of lost-wax casting and traditional casting techniques of modeling in wax free that artist from many of the restrictions of traditional wax modeling, to provide greater freedom and spontaneity in creation, along with a newly achieved speed in execution. The author combines this understanding of the methods with his own practical experience to present the techniques in a concise, step-by-step format. He details the necessary materials and tools, and introduces the reader to their various characteristics and their roles in the jewelry-making process. He guides the artist through the various processes of wax modeling in several projects."